Enter your email in the form below and we'll let you know when new articles are added to this blog. Welcome to the New Year Special, Best of 2017 round-up result page. 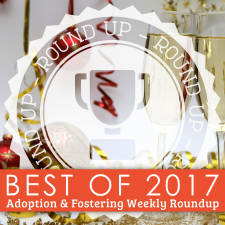 As this is a special edition of the roundup, we decided to include an article from each blogger who was nominated. They all more than deserve it. We’d like to extend a huge thank you to everyone who nominated new articles or voted for their favourite posts. And, of course, congratulations to all the winners of this week’s roundup. Keep writing, keep reading, keep voting, and sharing! If you would like to add the badge at the end of your article, click on the Copy to Clipbard button and paste the code at the end of your post. If you need any help with adding the badge to your site, get in contact with us using our contact page. And if you would you like to receive the results of our roundups delivered to your inbox each week, you can subscribe to our weekly newsletter. If you liked this post, why not follow us on these social networks? Hello, my name is Owl. Owls are nocturnal animals—we love hanging around in the depth of night—which means that, unfortunately, you won't have many chances to meet one of us in the wild. Unless you are a parent, that is. If you are, you'll spend as many hours awake at night as you do in the day, and that means we can be friends. Come back to visit me, anytime!